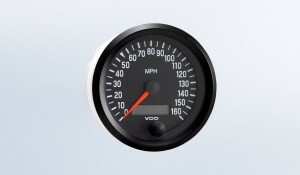 The gauge that started it all. Years of research have revealed the best combination of colors for readability and reduced eye fatigue. Cockpit instruments feature VDO patented movements, computer balanced pointers and fully illuminated dials. 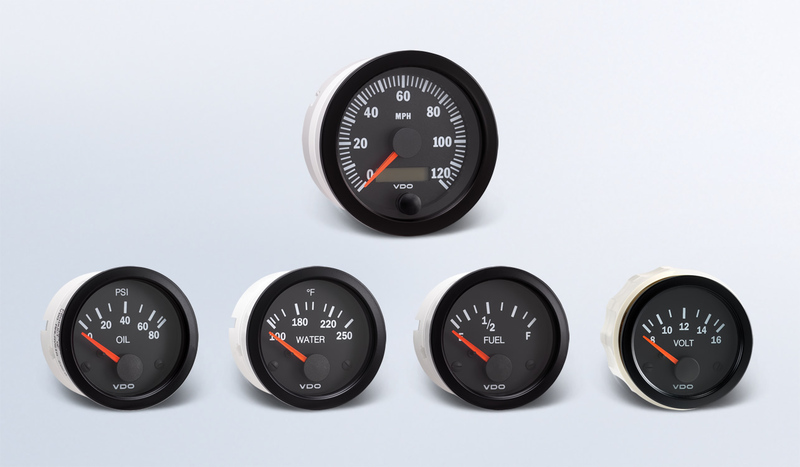 Sharp black dials and classic bezels are accented by deep red pointers and white graphics. Standard 0.25" spade connectors simplify wiring and VDO Spin-lok™ mounting makes installation fast and easy while providing a full 360° degrees of mounting force.